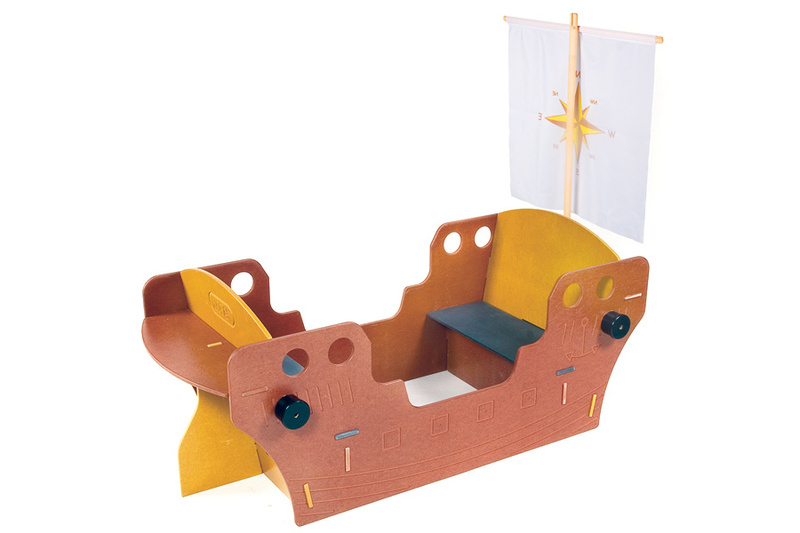 Stimulate role play or just have fun playing in this beautiful play galleon. It is made from high quality coloured MDF and has a clever slot system for assembly. One person can easily assemble and disassemble the ship. 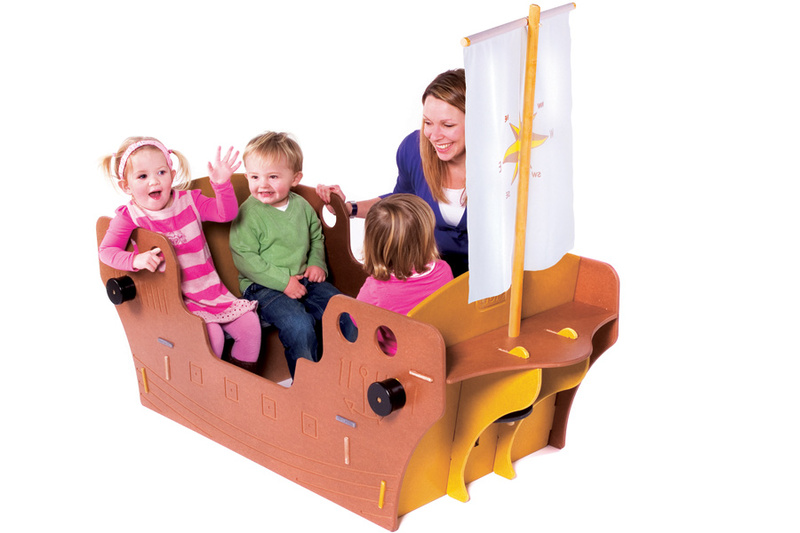 There is seating for approximately 4 children plus a removable sail and 2 shelves for drinks, toys etc. 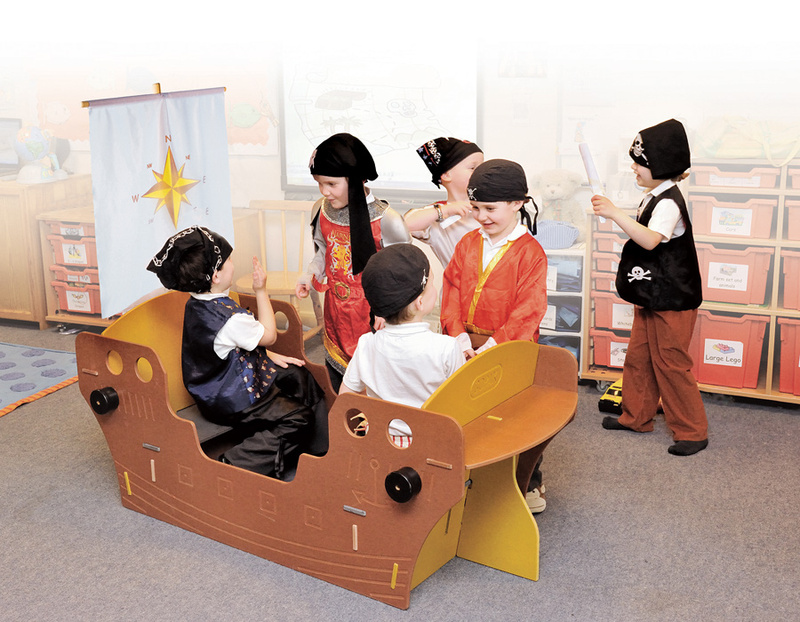 Great fun for nurseries, play groups and pre-schools. Shelving area for toys, drinks etc. Manufactured to order dispatched within 4-6 weeks.